Transportation in the IT sector has been mostly manual – mired with inefficiencies and safety concerns, which the team behind Safetrax sought to address. How? By providing a transport automation platform that makes the entire transportation process smarter and eliminates inefficiencies. 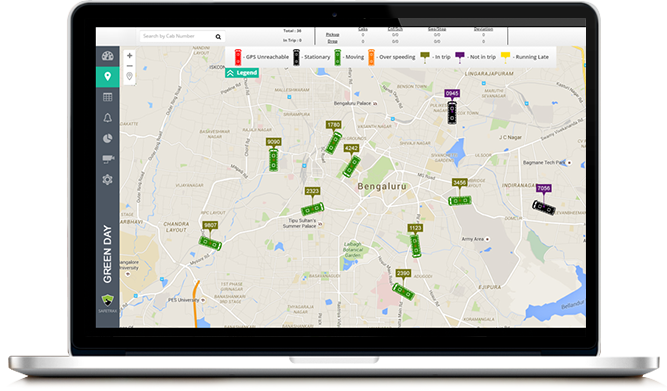 One of the main ingredients to their transportation automation platform is the use of a map. After a lot of research and development in experimenting with various maps technologies, the team decided to use Google Maps API since it provides the most accurate and almost up to date location data. To minimizing distance and maximizing seat utilization in a transport vehicle, Safetrax built sophisticated algorithms to create optimal routes using the Google Maps API Enterprise Edition. Called the “Advanced Routing Engine,” this system has led to companies saving up to 12% of their transportation costs. As an outcome of building and using cutting-edge technology, Safetrax has made the entire transportation safer. In the Schooling sector, safety and security of students have always been of prime importance which Safetrax solves through real-time monitoring of vehicle using Google Maps APIs – one of which is asset tracking, and by also using onboard camera footage. Operations powered by this platform are critical as it involves safety and security of employees and students and delays can have a cascading impact on daily productivity. 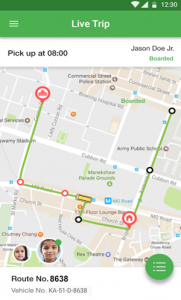 Hassle-free integration of various Google Maps APIs has enabled Safetrax to streamline, optimize and offer safe transportation to its customer base. Today, more than 77 customers use the company’s Admin Web Application, which has Google Maps overlay for tracking live city traffic and movement of vehicles. More than 57750+ employees and parents use the Safetrax Mobile App to track vehicle for everyday pick up and drop. The SOS panel in the Admin application uses Google maps which enables transport managers to intelligently send help by quickly zooming in to identify the precise location and learning about nearby company cabs, hospitals, and police stations. Safetrax is an IoT company focused on making transportation more efficient, safe and simple. The IoT platform caters to IT companies and Schools in India enabling them to streamline and offer a safe and hassle-free transportation experience for employees and students. Fill up the form below to schedule a free consultation with our Google Maps API specialist. 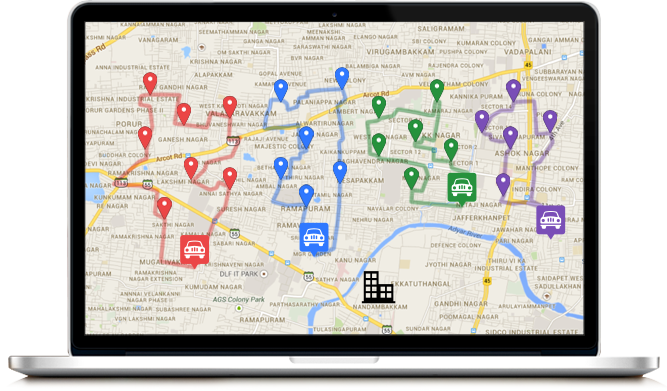 SkyMap Global is a premier Google Maps API partner.